Joy-Con Charge Stand for Nintendo Switch Firmware Update Notification - Allows charging while in Sleep and/or OFF Mode. Applies to all lot numbers starting with "710"
1. 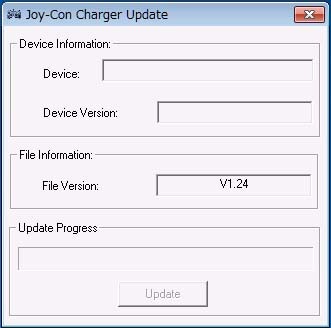 Download and Run "Joy-Con_Charger_Updater_V1.24.exe"
※Depending on your security settings on your PC, this program may be flagged as unsafe or unsecure but please know that running is safe and this installer does not pose a threat to your computer. 2. Once the update software launches, press and hold the OPTIONS and SHARE buttons simultaneously while connecting the USB plug to the USB port of your computer. 3. 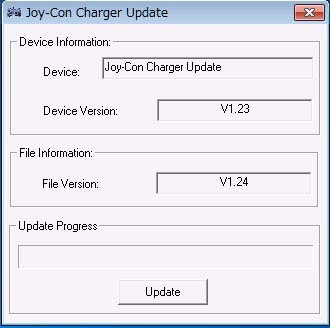 Once the update software launches, connect the USB plug to the USB port of your computer. 4. 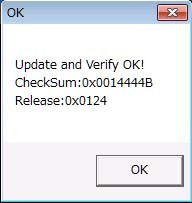 Click “Update” to finish (“OK” will appear).